Do you know someone who gives back to our community? Is there a person, business, good neighbor or youth that goes above and beyond? 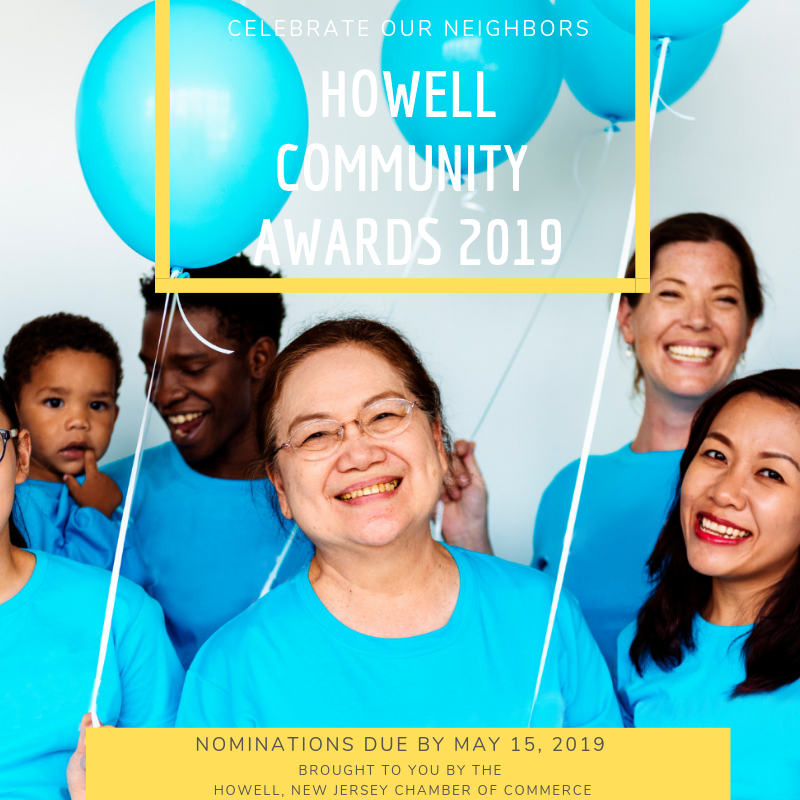 Nominate them for the Howell Community Awards 2019! Winners will be honored at the Howell Chamber of Commerce Gala on October 25, 2019, receive 2 complimentary tickets to the event, a website profile and the opportunity to be recognized across several media outlets. Nominate your favorites by May 15, 2019. Person of the Year: Recognizes someone who has demonstrated superior leadership and success over several years. Nominee should have a track record of long-term achievements, community involvement, professional growth, positive influence and competent abilities. Business Excellence: Awarded to a business that has been in business over 3 years and has made outstanding contributions to the Chamber and local community. Emerging Business: A business that has been in business at least one and no more than two years, and has made outstanding contributions to the Chamber and local community. Good Neighbor: A person in the community who goes above and beyond normal neighborly duties. Youth Award: Must be under 21 years old. This can be a school student or a young entrepreneur who has made a difference in business and/or the local community.